ARISSat-1 is a microsat developed as a follow-on to the SuitSat-1 project. The satellite was launched to the ISS on January 28th, 2011, with deployment into space during an EVA (spacewalk) on February 16, 2011. The satellite will downlink live SSTV images from four onboard cameras as well as 24 greetings in 15 languages on the FM voice frequency 145.95 MHz. 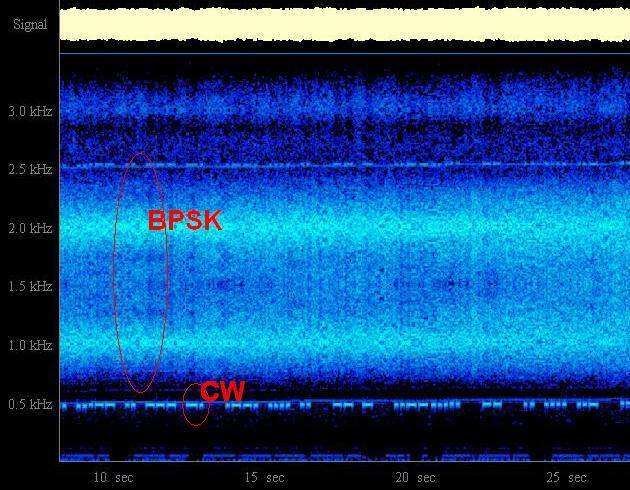 The BPSK-1000 sig downlinks as SSB on 145.920 MHz, with the CW signal below the BPSK signal to be used as a tuning indicator for the BPSK signal. Telemetry and amateur radio callsigns of those instrumental in amatuer radio in space will be transmitted at 145.919 MHz. For the amateur radio operators there is a 16kHz wide transponder for two-way contacts. All of the transmissions and receicvers use newly created software defined radio technology. The BPSK-1000 signal will include alternating telemetry and experiment data packets. Telemetry data will include spacecraft subsystem information such as temperature, voltage and current measurements. The Kursk State University experiment will be sent as 5 packets for a total of 2k of data. The data is collected for 90 each day. 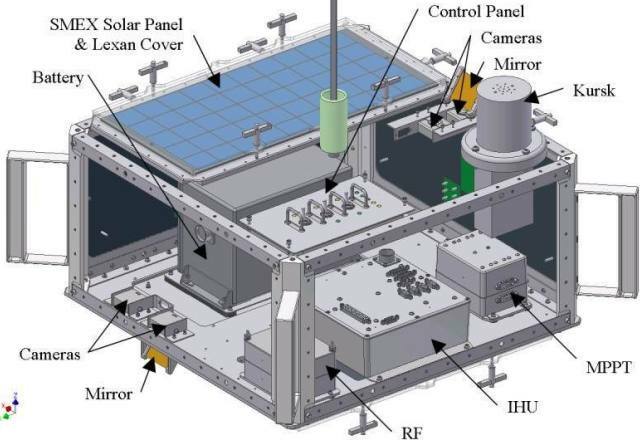 This experiment will sample the change in vacuum as the satellite slowly re-enters the atmosphere. ARISSat-1 was sucessfully deployed from the ISS at 1443 EDT today after a delay of a few hours from questions about the 70cm antenna. 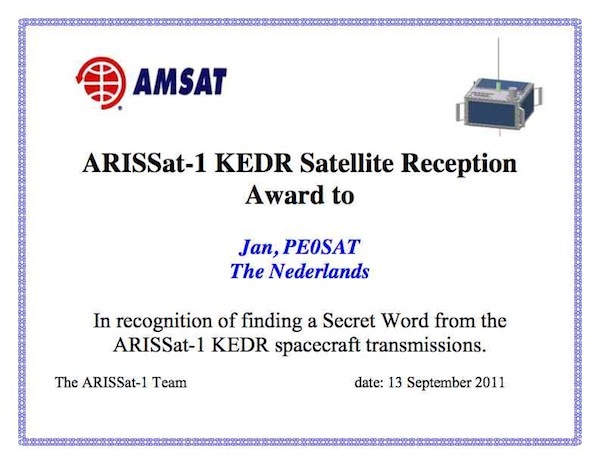 ARISSat-1 stopped transmitting on Wednesday, January 4, 2012. The last full telemetry captured and reported to the ARISSatTLM web site at 06:02:14 UTC on January 4.